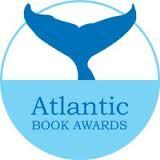 I’m off to St. John’s, Newfoundland, tomorrow for the Atlantic Book Awards. Betsy Wickwire and I are up against Gloria Ann Wesley, (Chasing Freedom) and Susan White (The Year Mrs. Montague Cried ) for the coveted Ann Connor Brimer Award. In 1990, the Nova Scotia Library Association established the Ann Connor Brimer Award for writers residing in Atlantic Canada who have made an outstanding contribution to children’s literature. The impetus for the award came from the late Ann Connor Brimer who was a strong advocate of Canadian children’s literature and saw the need to recognize and encourage children’s writers in Atlantic Canada.